Changed the graph on the Dispatch Analysis Report to include exact same date range as the filter for the report. Revised wording in Driver setup to make adding a user account for drivers more clear. Expanded the fields for Impound Lots to accommodate longer addresses. Changed the term “Default Rate” to “Standard Rate” to make it more obvious to users when setting up a rate item. Revised how the time picker works when adding the date and time for an Impound in Dispatching. You can now scroll up or down and the start time is pre-set to begin at the current time. Added an option to Pay in Full to the bottom of the Dispatch screen and to the Complete Call screen. Made it easier to change an account on a call. When you click on the filed now the original account is automatically selected and you can easily select the new account name. We updated storage rules to correct a problem with the midnight setting for when to charge the next day of storage. 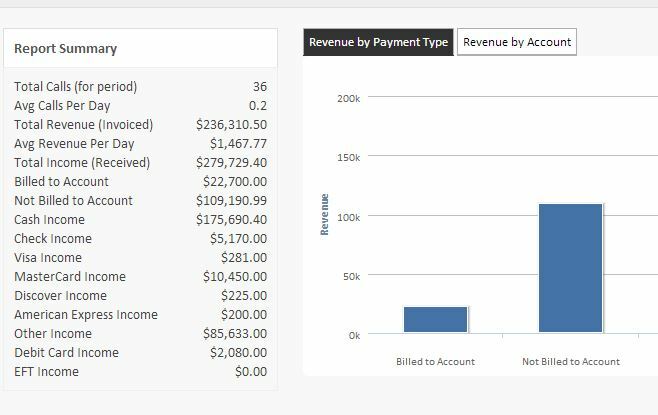 Changed Record Payment Screen so you can not click on a column heading to sort by that column. Use Impound Receipt when opening an Impound from the Dispatching Section. Added Release Date to Modify Impound screen so you can adjust the release date if an error was made. Note: this does NOT affect the charges for the call. If you need to change the charges on a call you must do that manually after the call was released. Updated Storage Rules to allow more options for when storage calculations should start. Added each Impound Lot to the export for Dispatch Analysis and Call Analysis Reports. Previously, we did not include the Impound Lot on this export. Today we launched the ability to automatically include signatures captured on the Towbook Mobile Apps on Invoices in Towbook. When driver use the signature pad on the Towbook mobile app, that signature is added to the receipt instantly and appears when the invoice is emailed or printed. Today we made a simple but important change to the Dispatch listing for Completed Calls. We added the current outstanding balance or amount due for the call to the details listed for each call (in Red). We also added a simple Paid indicator if full payment has already been made on the call (in green). Today we added a balance due column to the Call Activity Report (under Dispatching Reports) to make it easier to view the open balances for calls for a specific date range. This makes it quick and easy to review the open balance for an account, a specific driver or even a dispatcher for the day, week or month. We will be making more update soon aimed at making tracking and managing payment status easier. We’ve updated the Daily Activity Report, adding more summary performance data for Average Calls per Day and Average Revenue per Day. We will continue to make updates to the reports and the report features. Please keep the great ideas coming. We just released an update to the Towbook Dispatching section that includes a field for Bill to Account information. This makes it easier to set the Bill to account at the time you’re working on a call and ensures the correct account gets charged for your service. Our latest update to Dispatching included the ability to dispatch a new call with one click. If you include a driver and a truck on new calls you add to Towbook, a new button will appear at the bottom of the page called “Create and Dispatch”. Clicking this button will automatically create the call and send it to your driver. In today’s update we moved the Contact Field up on the dispatch page, placing it directly below the Account Fields. This makes it so you can add contact information immediately when you receive the call. Towbook now supports the use of multiple tax rates for companies who do calls in areas that require different rates based on where a call is completed. To add multiple tax rates, simply go to Settings in Towbook, click on Pricing and then select Sales Tax and choose the option to configure multiple tax rates. Listed below is an example of what the tax rate option looks like on the Dispatch page.